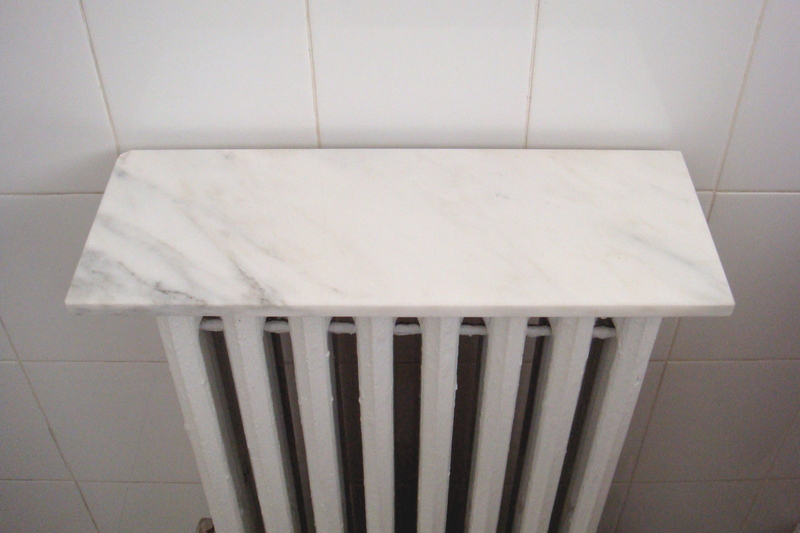 Placing a marble cheese tray on the radiator gives me much needed surface area. Rubber pads on the bottom of tray keep it in place. 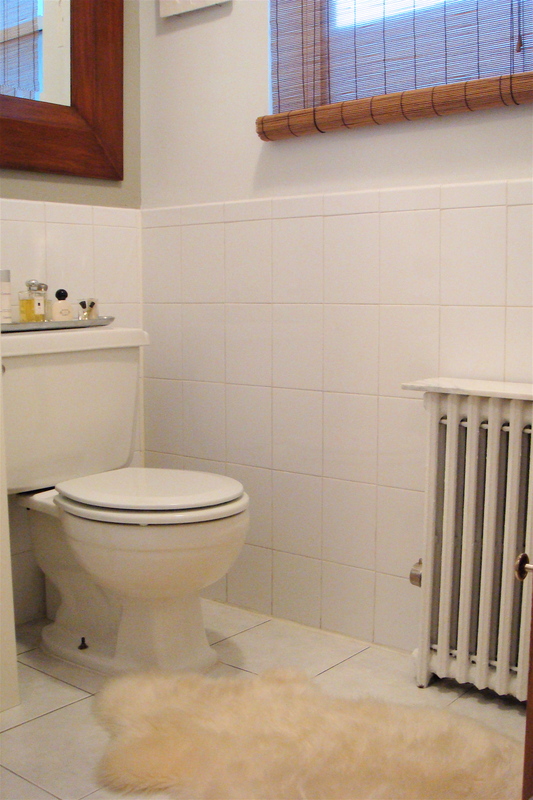 A wood tray or shelf would be a nice option as well. 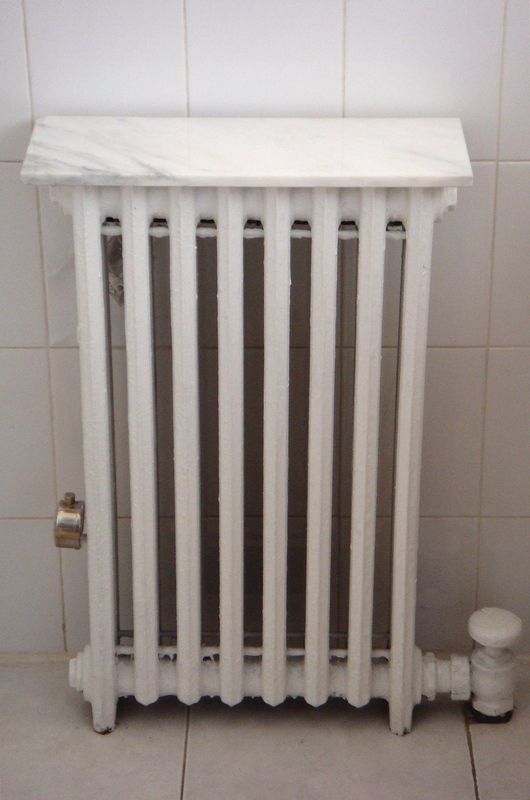 BTW – the radiator is off. Never a big fan of bath mats, I use a sheepskin rug and I’m loving how cozy is it. I dry off in the shower so it doesn’t get wet.